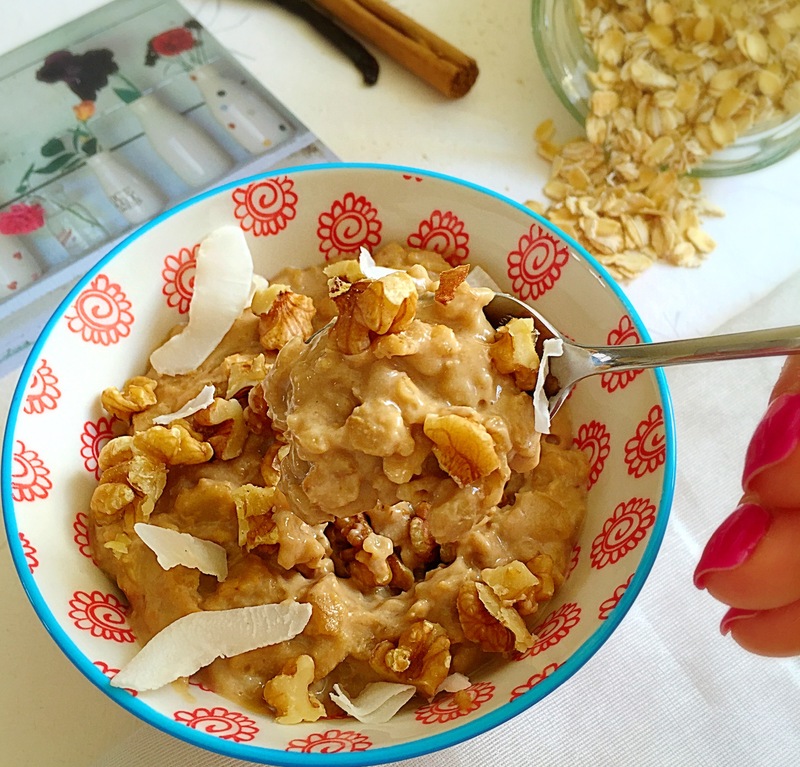 If you like chai tea you will love this chai tea porridge! It may sound a little complicated to make, but it is really so simple, and wont take more than 10 minutes of your time. I like to cook mine in almond milk and add vanilla powder right at the beginning of the cooking. It makes it so creamy and full of flavour from the tea and vanilla powder. Put one chai tea bag into a mug and cover it with one cup of hot water, leave it to brew for about 3 minutes. Once the tea is done, transfer it into a saucepan, add oats, half of the almond milk, vanilla powder, and bring to the boil. Add a pinch of salt, give it a good stir, reduce to a low heat and let it simmer for about 3 minutes, stirring frequently. Once it starts to thicken, add the rest of the almond milk and coconut sugar, stir iwell and let it simmer for another 2 – 3 minutes. Remove from the heat, allow the mixture to set and serve into a breakfast bowl. 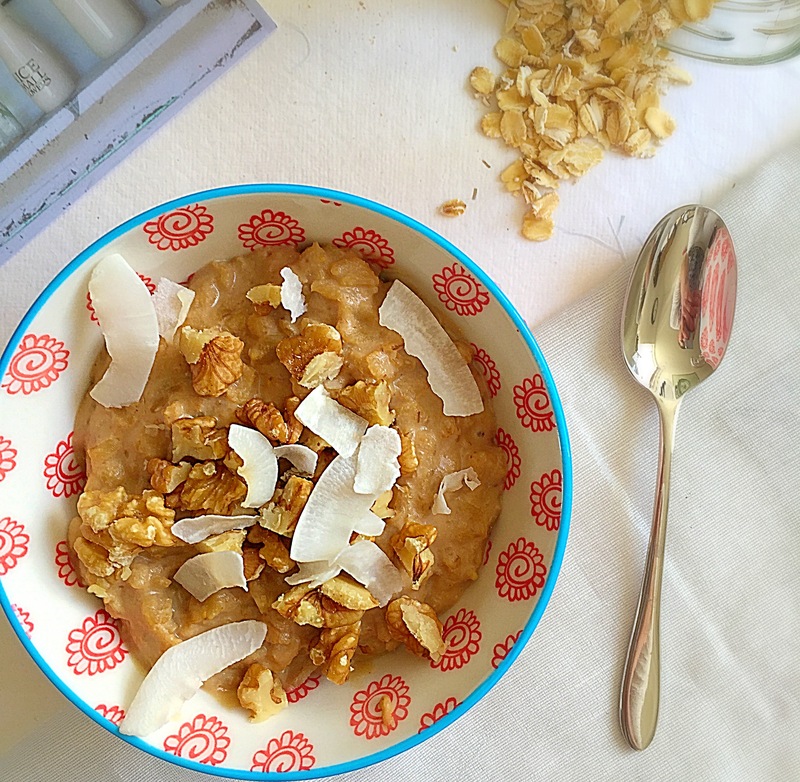 Top it up with chopped walnuts and coconut flakes. Looks so good! Very unique idea too – love it!